The livestock sector presents an important agricultural activity in Tunisia, generating a significant additional income particularly for smallholder farmers and livestock owners with little or no land. Livestock husbandry that is focused on selling red meat is one of the main cash-creating economic activities in rural areas in Tunisia. However, the diagnosis of the red meat value chain reflects the unstable economic environment, especially after the revolution of 2011. The consequent increase in production costs and fluctuations in selling prices directly affect the livelihoods of livestock owners and impede their adaptation to the new context. A main problem within the red meat value chain is insufficient and inappropriate animal feeding leading to low or moderate performances, high rates of abortion and death losses among livestock, especially lambs. This considerably decreases farmer’s margins and their incomes. Despite feeding costs constituting more than 60 percent of the total cost of meat or milk production, forage production is highly related to rainfall and remains very limited and feed is mainly purchased from favorable regions or imported. The situation is further exacerbated by recurrent droughts and associated climate variability. Locally produced animal feed has become so scarce this year that prices for hay and straw have doubled compared to last year. Hay is even imported from as far as Canada… it’s still beneficial for importers. Locally produced straw from the fertile North travels as far as 500 km through Tunisia to reach livestock farmers in the Center and South,” said Mohamed Lajili, OEP technician. Development of business around semi-industrial feed block manufacturing units, based mainly on local agro-industrial by-products and wastes. This is carried out through an inclusive mechanism that builds the organizational capacity of farmer associations, extensions and small enterprises, and promotes the involvement of youth and women. The project aims to provide smallholders with improved and sustained incomes, and to increase capacity development and partnerships by training farmer associations and small enterprises through agricultural extensions. With regards to youth and women, the creation of small enterprises and participation in the agricultural sector both increase their rates and opportunities of employment. Watch the video on the red meat value chain project in Tunisia, demonstrating the concept of feed blocks and their production by entrepreneurs with new semi-industrial feed block manufacturing units, as well as the promotion of these technologies through Innovation Platforms. To strengthen the organizational capacity of farmers, the project has installed two regional innovation platforms (IPs) to exchange knowledge about food resources for small ruminants. These platforms were facilitated by OEP staff who had been trained by ICARDA in a two-day training workshop. A total of 24 participants, coming from OEP and CRDA (representing the Ministry of Agriculture at the governorate level), were selected and trained as facilitators. This was followed by four further regional IP meetings, with about 60 participants in each that were organized and facilitated by the recently trained OEP staff. The purpose of these regional IP meetings is to mediate exchange about feeding constraints specific to the region. Participating stakeholders presented and discussed the technologies mentioned above (feed block manufacturing units, cactus choppers, seed multiplication and silage production). The IP developed a chart to strengthen the organization of the platform and ensure best functioning. The list of participants included representatives from the public sector as well as the private sector (banks, food companies, producer cooperatives and civil societies such as farmer associations and NGOs). The participants highly appreciated the information received regarding the project, the concept of "Innovation Platforms", and the opportunity to discuss challenges facing the food resource sector. “After participating at an IP training organized by ICARDA in Tunis, I am now the facilitator of the “Feed Resources Innovation Platform” in Kef. We unite many different stakeholders from the private and public sector to discuss issues like access to credit for entrepreneurs wanting to get engaged in the feed block manufacturing business. In the last meeting, I invited three banks to present their credit conditions,” said Amna Werghi, an agronomist at OEP in Kef. In recent years, unemployment rates have skyrocketed in Tunisia, especially in rural areas. In response to the pressing need for job opportunities, the project also supports and trains men and women interested in starting up their own feed and forage business. The newly launched IPs are utilized to promote feed block manufacturing technology, cactus choppers and seed business. Four feed block manufacturing units, worth US$15,000 each, will be distributed to existing private enterprises looking to enlarge their business portfolio, young entrepreneurs interested in starting up their own business, and/or farmer associations and cooperatives wanting to produce and sell blocks to their members and other farmers. 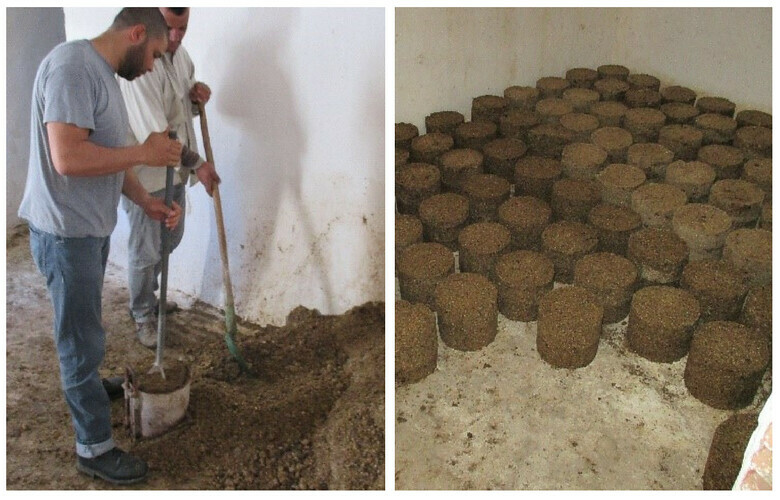 The use of feed blocks is expected to reduce feeding costs and improve feeding productivity. Four candidates from three different governorates were selected through this process. To determine the availability of AGIBPs in a particular location; the quantity, availability period and the price of the respective by-products were assessed. 73 enterprises producing AGIBPs were analyzed in the 6 governorates. 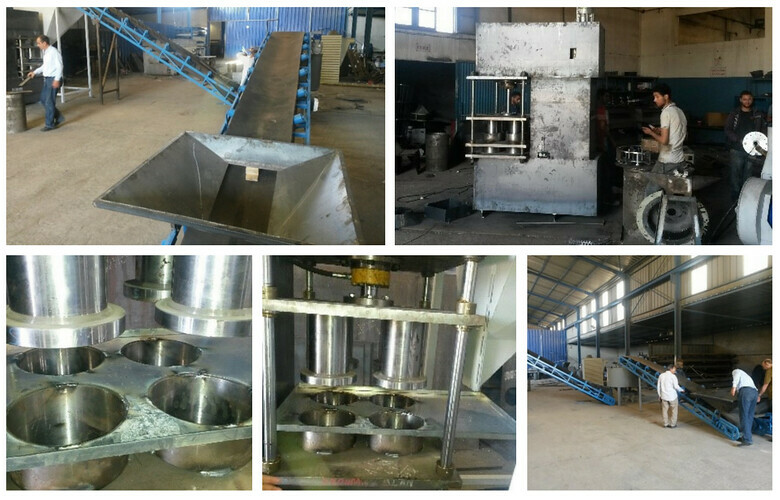 Of these, over 90 percent of the enterprises were olive oil producing companies which can provide olive cake for feed blocks. Additionally, there were two tomato processing enterprises, a large-scale sugar beet company, and a cactus enterprise which processes fruits into juice and cladodes into cosmetic products. These enterprises are all potential partners that could provide useful by-products for the production of feed blocks. Table showing availability of AGIPS in each governorate in tons per year. 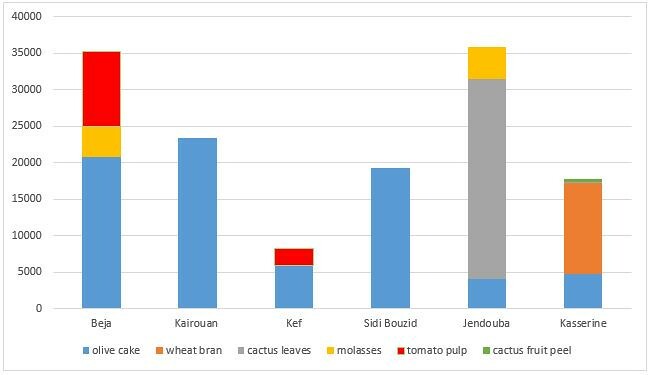 Institut National Agronomique de Tunis (INAT), a NARS partner, developed several different formulae, with diversified composition, according to the regional availability of different by-products. A first economic calculation shows that the production cost for one ton of nutritious feed blocks varies between 255 and 380 TND (127 to 190 USD) using the latest available market prices. Since the market prices of feed concentrates have recently risen to over 600 TND per ton, feed blocks can create a win-win situation for livestock farmers and small feed block manufacturing enterprises. “Feed blocks were mostly used as catalytic supplements in poor conditions to safeguard livestock, mainly for small ruminants. In the current project it was demonstrated that their feeding value could be improved when including high quality local industrial by-products and/or agricultural wastes. This valorization is economically efficient, expected to induce higher animal performances and may contribute to environment protection”. Prof. Nizar MOUJAHED (INAT). 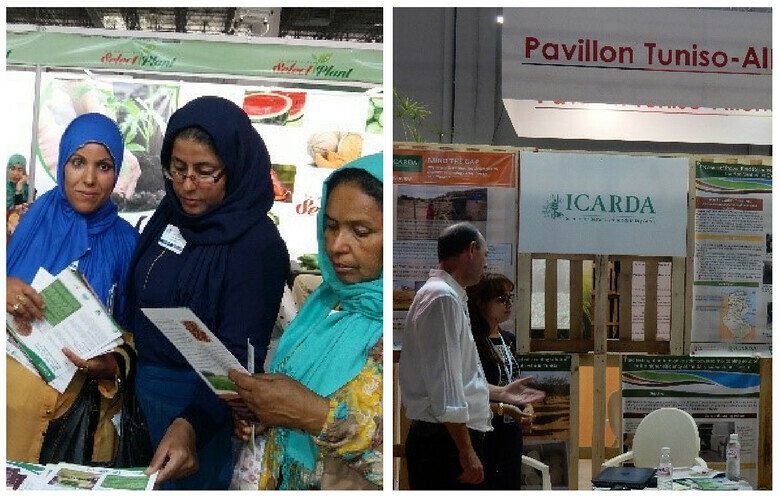 As another step towards upscaling the project presented its activities and achievements at the Agricultural Investment Fair of Tunis (SIAT) in October 2016. The next steps in the near future will be rallying the private sector to support the newly established businesses around the feed blocks. This project is conducted under the framework of ICARDA and financially supported by the German Federal Ministry for Economic Cooperation and Development​ (BMZ).